J.D. 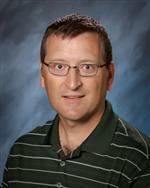 McIntire was named the 2012 Mary Hartman Oregon Journalism Teacher of the Year. The award honors McIntire’s dedication and tireless support to educators across the state over many years. He was nominated for the award by former and current students, his principal, and fellow advisers. Read their glowing recommendation letters below. McIntire has been the newspaper adviser at Sandy High School since 1998 and the yearbook adviser since 2004. He has also taught a Beginning Journalism class and a Web Design class during that time. A past president of Oregon Journalism Education Association and a past co-chair of a national journalism convention in Portland, McIntire currently serves as Oregon’s JEA State Director. McIntire has taught adviser workshops and has mentored many current journalism teachers. In 2007, he testified about the existing problem of student censorship in the state before the Oregon house in support of the student press freedom bill, HB 3279. The bill, introduced by Rep. Larry Galizio (D-Tigard), was designed to protect both high school and college students from censorship by school officials. In an article published by SPLC, McIntire said that a bill such as this could push school officials to shut down student newspapers to avoid lawsuits. The award comes with a $500 cash award paid from an endowment by the Hartman family. During his time at SHS, the newspaper staff has won more than 300 state journalism awards, and three Sandy students have been named Oregon High School Journalist of the Year. Three other SHS students have been runner-up for that award. Oregon committee debates merits of student press freedom bill. SPLC. April 5, 2007.